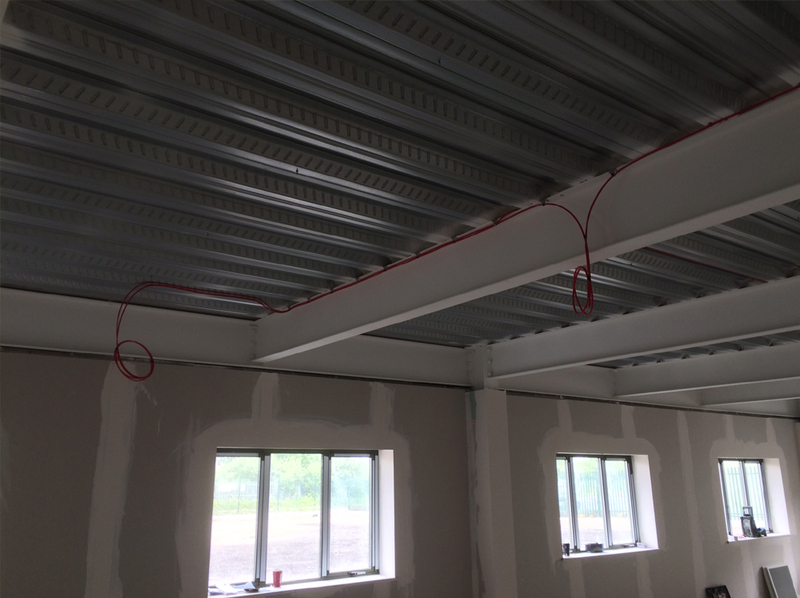 Fire alarm installation in a warehouse in Doncater. Due to a tight timescale, RST electrical teamed up with ATL Electrical Andy Lightfoot to undertake a full electrical installation and alarm security system of several warehouses in Doncaster. 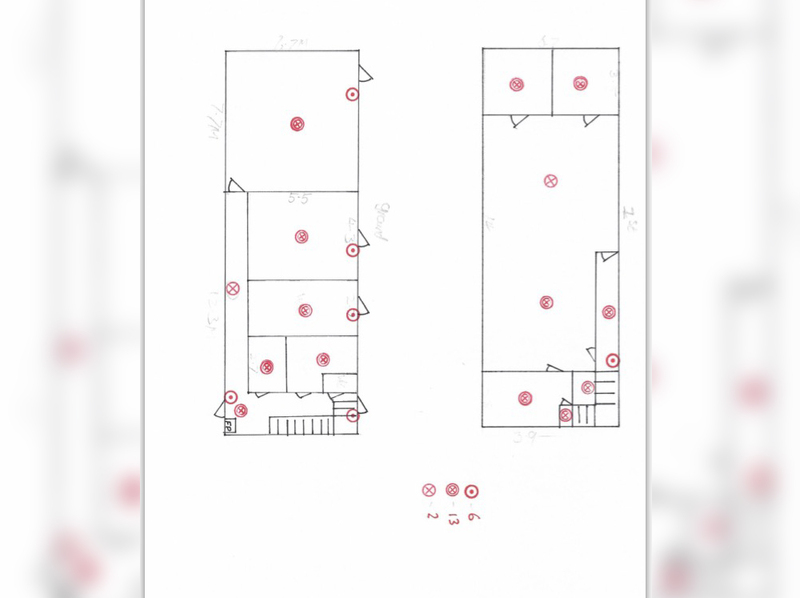 Each alarm sensor and breakglass units were positioned according to an existing plan. Later, partition walls will be installed and further installation can continue.